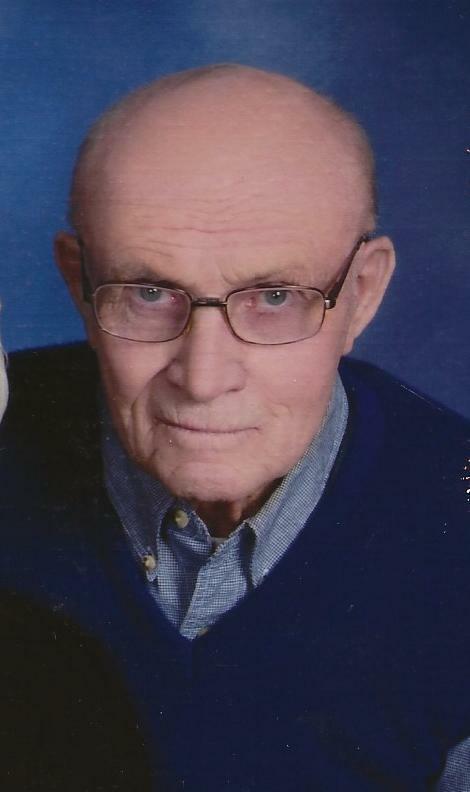 Gerald “Jerry” F. Schreier, 85, of Dell Rapids went to be with the Lord Wednesday, March 13, 2019 at Dells Nursing and Rehab Center. Mass of Christian Burial was at 10:00 AM Monday, March 18, 2019 at St. Mary Catholic Church in Dell Rapids. Burial with Military Honors was in the church cemetery. Visitation was held from 3:00 to 5:00 PM followed by a Wake Service at 5:00 PM Sunday, March 17, 2019 at Minnehaha Funeral Home in Dell Rapids. Jerry was born on April 23, 1933 to Henry and Laura (Phelps) Schreier in Dell Rapids, South Dakota. Jerry’s love for farming started when he was a kid growing up and helping on the family farm. This is where he learned many of his mechanical skills. Jerry attended St. Mary Catholic School and then went on to serve his country in the Army. He was honorably discharged with a hardship when his father passed away so he could go home to continue farming. While farming, he worked many different jobs to supplement the farm income during his life. He was a “jack of all trades” and there wasn’t anything he couldn’t do when it came to the farm. He woke up every morning and got to do what he loved every day on the farm. He was very proud of the farm. Back in the day Jerry and Clara would host barn dances complete with a band and plenty to drink. He had a passion for selling and repairing Miller farm loaders for most of his life. Jerry was also a Funk Seed Dealer for many years serving the area. He married his wife of 61 years, Clara (Galles) Schreier, on April 27, 1957. Together they raised five children on the family farm. He was a devoted member of St. Mary Catholic Church in Dell Rapids where he was also involved in The Knights of Columbus. He was a loving husband, father and grandfather. His great sense of humor and that twinkle in his eye were always loved. Jerry is preceded in death by his father, Henry; mother, Laura and siblings, Irene Schmidt, Genevieve Mines, Myrtle Duffy, Henry Schreier Jr., Harold Schreier, Beverly Shea and Charles Schreier. He is survived by his wife, Clara of Dell Rapids; five children, Patrick Schreier of Apple Valley, MN, Noreen (Jerry) Abrahamson of Omaha, NE, James (Christine) of Fargo, ND, Timothy (Paula) of Dell Rapids, SD and Jeffrey (Jodie) of Moorhead, MN; ten grandchildren, Colleen Schreier, Diana Schreier, Jared (Kelsey) Abrahamson, Elyse Abrahamson, Jocelyn Abrahamson, Emily (Jon) Schroeder, Meghan Schreier, Abby (Robert) Gregersen, Jacob (Trystan) Schreier, Zacharey Schreier and several cousins, nieces and nephews.